You cannot get a fixed answer to which program is the best MP3 merger and joiner. Frankly speaking, there is only a right MP3 joining tool for you. To give significant assistance, we are going to talk about 5 awesome software for MP3 joining usage. Here we go. Joyoshare Media Cutter for Windows (or Joyoshare Media Cutter for Mac) is a competitive MP3 merger and cutter in current market. It makes great contributions to not only cut audios & videos file in an accurate way but also merge all the rest of cuts into a complete one. Focusing on bring the best service, it comes with a well-organized acceleration processor to get any task done at 60X faster speed without sacrificing quality. Offering broad support, this all-around tool can assist you to convert your MP3 audio to AIFF, AU, MKA, APE, OGG, WAV, WMA, AAC, AC3, M4A, M4R, MP3, FLAC, etc. You can also transfer it to portable device, such as iPhone, game console, smart TV, Android, etc. Then you can get an access to specify resolution, bit rate, sample rate, codec, channel, etc. at will. Alternatively, it's applicable to control volume, add sound effect, insert subtitle, stylize watermark, adjust brightness, etc. owing to its powerful editing tools. Devoting its self to merging MP3 files in unique way, Direct MP3 Joiner is absolutely an extraordinary MP3 combiner when compared with other more widely-used programs. 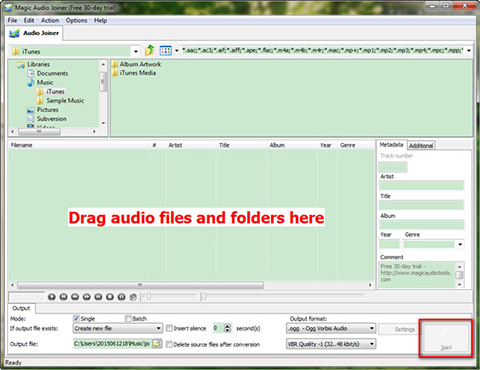 Aside from basic joining mode, it also has ability to merge separate audiobook chapters into a single one or mix diverse music tracks into one non-stop audio CD. Excellently, Direct MP3 Joiner makes it ideal for manually editing ID3 tag info, freely adjusting MP3 files' order and thoughtfully inserting silence between MP3 tracks and so on. Here Shuangs Audio Joiner is another good choice for non-savvy users when it comes to merge multiple MP3 files into a new one without sophisticated operation. With an intuitive interface, all necessary icons are located in clear layout. All detailed info, like file name, channel, bit rate, sample rate, size and time, will be shown in your sight. Meanwhile, you don't have to figure out how to set the corresponding parameters to produce best results owing to there is no configuration option provided. Anyway, with this MP3 merger, you can join any MP3, WAV, and WMA audio files on your Windows totally for free without hassle. As the name suggests, MP3 Joiner is designed to join, combine and merge MP3 files together so that you can have a good time in managing a large number of MP3 audios. By taking advantage of it, a wonderful platform can be delivered to cut various MP3 files in no time in batch mode. Moreover, all associated MP3 audio tag will be copied and saved straightly from the required audio files to the finished one. This MP3 joiner and cutter includes full support to on-the-fly converting, meaning you can execute merging process on your Windows without generating temporary files. Magic Audio Joiner is a dependable MP3 mixer, which can be used to join tons of audio files in different formats and codecs. With an uncluttered drag-and-drop interface, you can feel free to add any types of media file, for instance, MP3, FLAC, AAC, M4A, OGG, AAC, AC3, ALAC, AIFF, APE, MP4, WMA, WAV, MP2, MPC, MPP, OFR, 3GP, 3G2, OFS, SPX, TTA, WAV, WMA, WV, etc. It's workable to arrange the preferred order as you want and insert silence between each audio track. Likewise, its optional batch mode can facilitate you a lot especially when you have a mass of audio tracks to edit. It doesn't matter if you have no specific MP3 joining tool in your mind before you look through this hot list. Nevertheless, you have already known 5 best MP3 joiner programs; you can have a try if one of them is attractive for you. 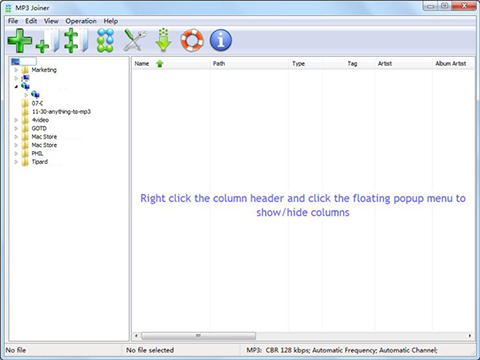 Shuangs Audio Joiner and MP3 Joiner are free MP3 joiner software, which are indeed proper for new beginners. 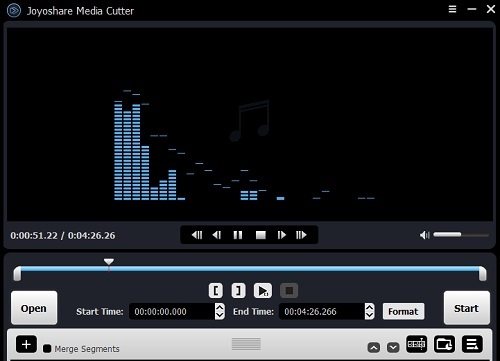 Joyoshare Media Cutter is a relatively outstanding MP3 joiner, which is capable of merging almost existing audios and videos in customized way with a built-in editing tool. Of course, Direct MP3 Joiner and Magic Audio Joiner can do you a favor as well. Now, don't hesitate anymore; take action to get one.